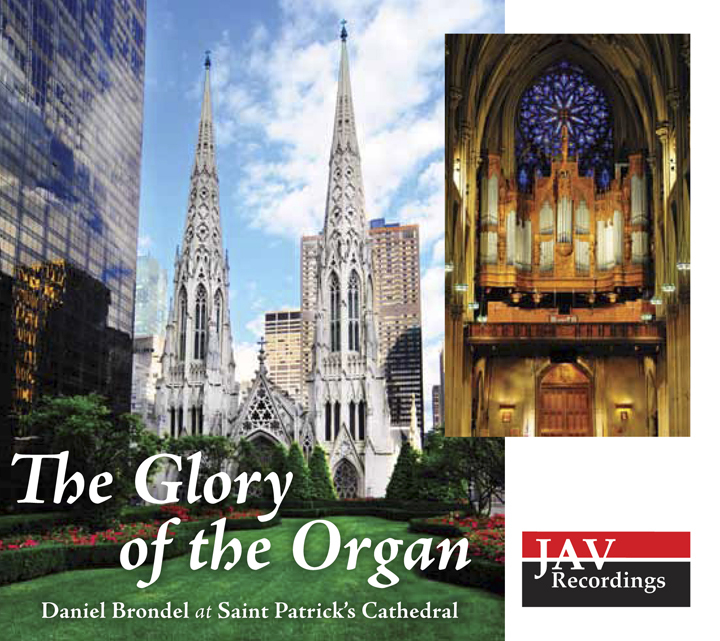 Daniel Brondel is the Associate Director of Music at Saint Patrick’s Cathedral and a very active organist, pianist and singer. He performs solo recitals in the United States and France, and has also appeared as soloist in piano concertos of Mozart and Rachmaninoff, and organ concertos of Poulenc and Jongen. Daniel has also recorded and appeared regularly as countertenor soloist (Schnittke’s Requiem and Bach’s B-minor Mass) with Grammy-Award-winner Paul Halley, and has sung with the Gentlemen of the Choir of St. Thomas Church Fifth Avenue. He has performed extensively in oratorios of Bach and Handel, and in opera, notably the lead role of Oberon in Benjamin Britten’s A Midsummer Night’s Dream. A graduate of the Eastman School of Music, where he studied organ with David Higgs and improvisation with Gerre Hancock and Rick Erickson, Mr. Brondel holds a Master of Music degree in Organ Performance. 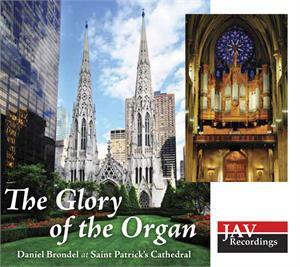 On this CD Daniel plays popular organ works that show off the full dynamic range of the Kilgen Pipe Organ in the Cathedral. The first track on the CD showcases the “new” Triforium Trumpet installed during the Peragallo cleaning and rebuilding of the pipe organ in 1997. A.R. Schopp’s Sons built this high pressure trumpet stop for the Peragallo firm.